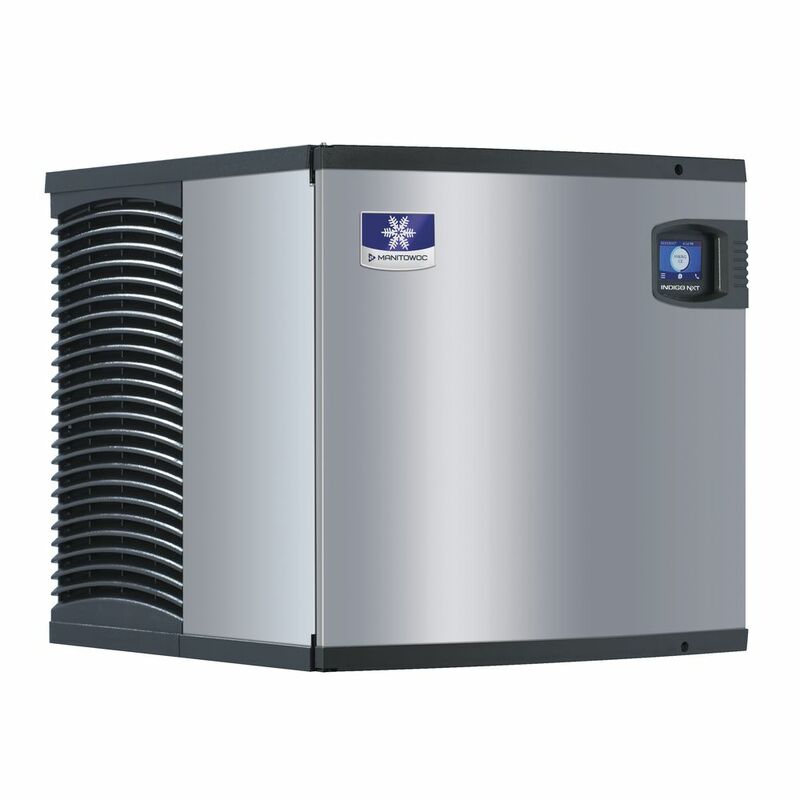 The Indigo NXT Series commercial ice maker may be eligible for an Energy Star rebate. 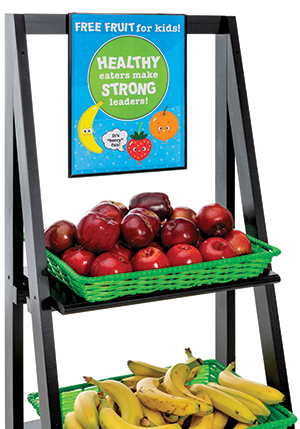 The easyTouch® menu color display has smart programming and intelligent diagnostics. DuraTech™ metal finish is corrosion and smudge resistant that allows for easy cleaning. The 22" cuber has a 460 lb capacity per day of half dice shaped ice. 11.3 amps/115 volts/60 Hz/1 phase. 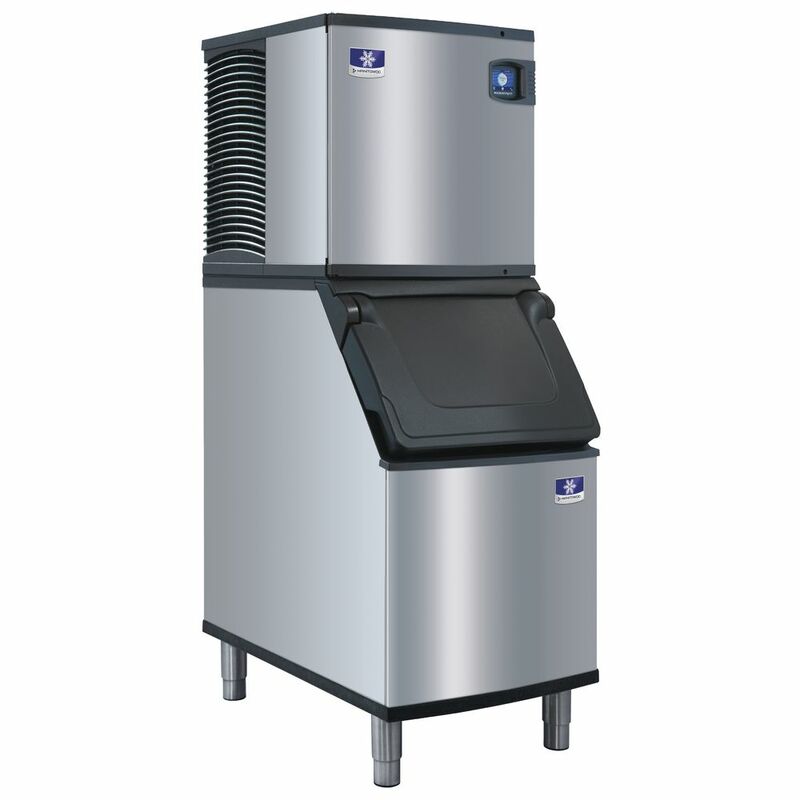 The Manitowoc 265 lb ice bin has a duratech metal finish that is corrosion and smudge resistant allowing for easy cleaning. An ergonomic NSF approved Sanitary Scoop included with each bin. Built-in scoop holder keeps the ice scoop handle above the ice. Additionally, the ice bin features a door design that is angled at 53° allowing for easier access to ice. The door has also been designed with built in side grips that allow for easy door lifting from any position, even one handed. D-bins come standard with 6" adjustable stainless steel legs.